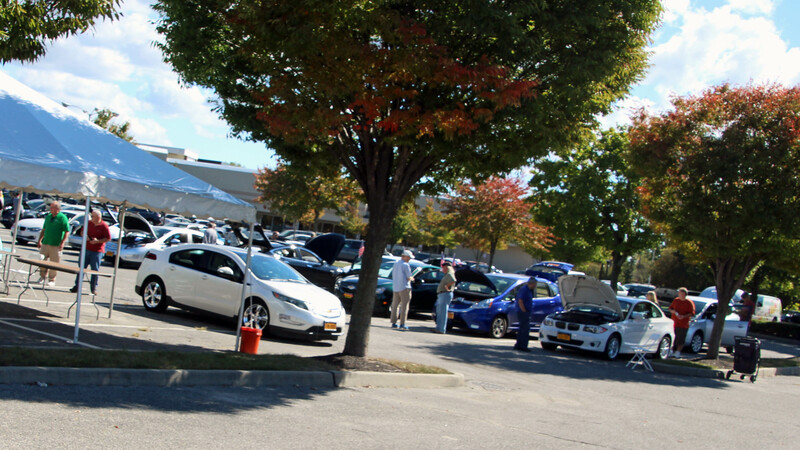 Our event was held in the extensive parking lot of the Babylon Town Hall that accommodated our needs. The Sierra Club provided an ample gathering tent and seating accommodations for the participant vendors and gest. We had the presence of the Town of Babylon authorities and the TV media had full coverage ef the event, interviewing EAA members and the casual visitor. 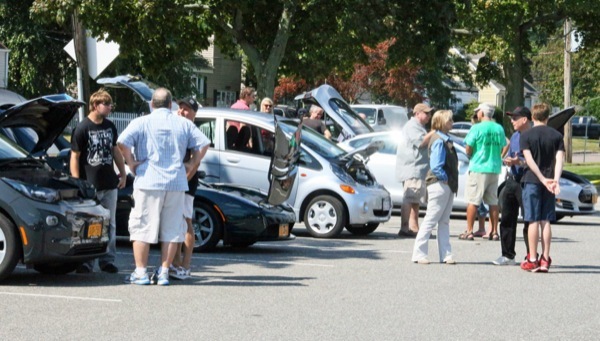 The vehicle owners exhibitors were the most enthusiastic example of the growing number of hybrid and electric vehicles that are exponentially growing every day in Long Island, New York. It was a great gathering. Showing of many Tesla Motors model S and a Roadster Signature #95, Nissan Leafs, Ford C-max Energies, Toyota Plug-In, BMW i3, the only North Easterner CODA sedan, Accord PHV, few Chevrolet Volt and.... a conventional Mr Softy Ice Cream truck!!! Registered attendees report 210,551 electric miles driven.